Carrie Catch and Release on the 4th! 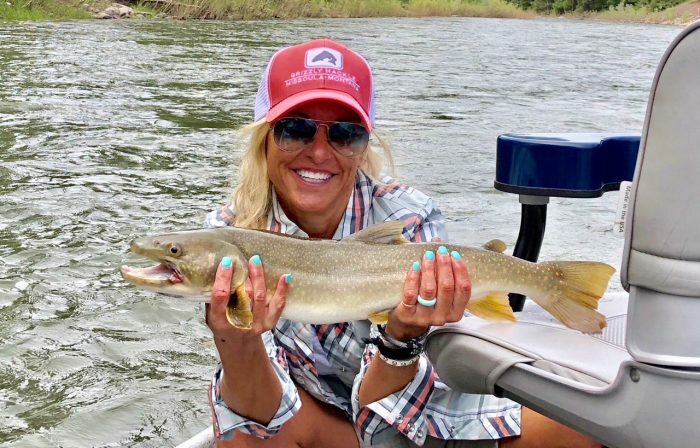 It was a Independence Day Catch and Release for Carrie Heaphy from Missoula as she floated the Blackfoot River Wednesday morning. She was fishing with her hubby Ike, as they did a quick float from Johnsrud to Wisherd Bridge. Carrie caught this 27-inch bully with a dry dropper rig on a San Juan worm.